We arrived in Coffs Harbour on December 4th, 2017 and left Thursday Island on July 21, 2018. That’s over 7 months cruising Australia, the longest Starry Horizons has been in any one country in one go. We traveled 2,300 nm on the east coast and spent 6 weeks traveling inside Australia by car and plane. Basically, Australia is the country we know best after the United States. Australians are fantastic people, and a pleasant surprise for us was how many people we got to meet thanks to our vlog. And a lot of them reached out to us to offer a place to stay, a tour around, or a home-cooked meal! It was awesome and we absolutely loved meeting everyone! There are also so many Australian cruisers out there. Come into almost any anchorage as a foreigner and you will be the minority. The facilities we went to were all pretty great and the general population is really welcoming to cruisers. In long stretches of the Australian coast that we explored, there were no islands or protected bays for us to stop in. Instead, we found ourselves crossing bars to enter harbors. 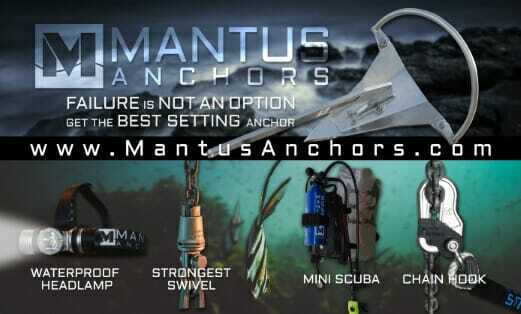 The bars are often the roughest parts of a passage, needing to be perfectly timed with low wind and wave conditions. Tides are significantly more substantial in Austalia then in the Pacific Islands, especially as we get closer to the Torres Strait. In the islands, we hardly ever worried about tides, since they were just a few feet of difference. Instead, we’re having tides swings of up to 15 feet on the Queensland coast. When you want to anchor in 10-25 feet of sand, having a 15-foot tide swing can be a big problem. In the islands, currents are rarely ever a concern either. Throughout Australia, we did spend a lot of time in rivers or inland waterways (such as the transit from Southport up to Tangalooma or the inland passage of Fraser Island). In each of these cases, we had times when the current was stronger than the wind, and the boat swing 180 degrees with every tide change. There are some exceptional beaches in Australia. Our two favorites were Fraser Island and Whitehaven Beach. Fraser Island is the largest sand island in the world. Both beaches have amazingly fine, white sand, of which we’ve never seen the likes of before. as a bonus, Frasee Island is pretty far of the typical tourist path, so it’s a quiet place to have to oneself. When we arrived in Australia it was peak summer. We even saw a record-breaking heatwave while we were in Pittwater. But as winter crept in, we found we couldn’t get north fast enough. While in the Whitsundays in June, we routinely had high temperatures in the 60s F.
Winter in Australia also brings strong tradewinds. In Queensland, the winds tend to blow from the SE a majority of the time, and fairly strong. Our pilot charts show a 5 on the Beaufort scale being most common around 30-50 percent of the time in June. The further north you get, the percentages are even higher – 80% or more. All of this basically boils down to strong predominate SE winds. We saw very few calm days while on the move from Brisbane to points north. This means we didn’t get out to the reef at all. To enjoy amazing places like Lady Musgrave or the Swain Reefs, you need calm conditions, which we rarely saw. We hardly swam in Australia. When we first arrived, everywhere we went the water was murky. It only started to clear up as got further north – passed Moreton Bay – and winter set in. But then we often saw signs telling us not to swim, thanks to one of Australia’s biggest predators – salties, aka saltwater crocodiles. 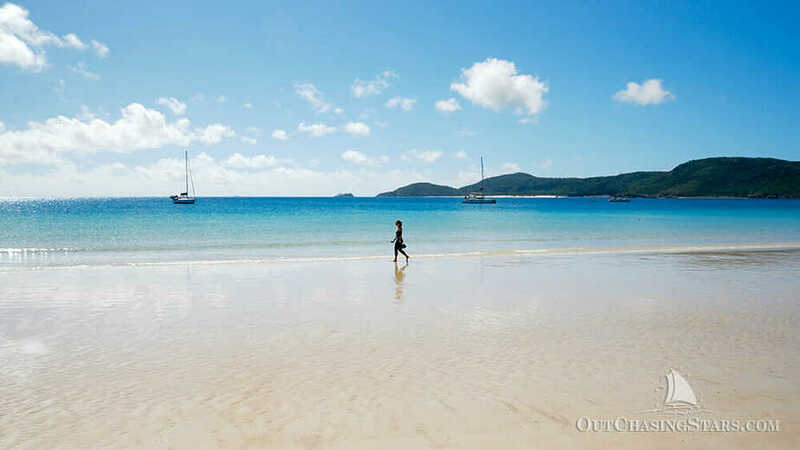 One of the rare opportunities for swimming was the Whitsundays. However, since our visit, there were two shark attacks there! Over our 7 months, we sailed 2,300 nm, which averages a little over 10 nm a day. When we first came to Australia we thought that 7 months sounded great – surely we’d have some relaxing cruising before we got up to Indonesia. Nope. We had to hustle to get north, and we skipped a lot of amazing places. But, at the same time, many of the places we skipped we didn’t have good weather for anyway – like getting out to the reef. 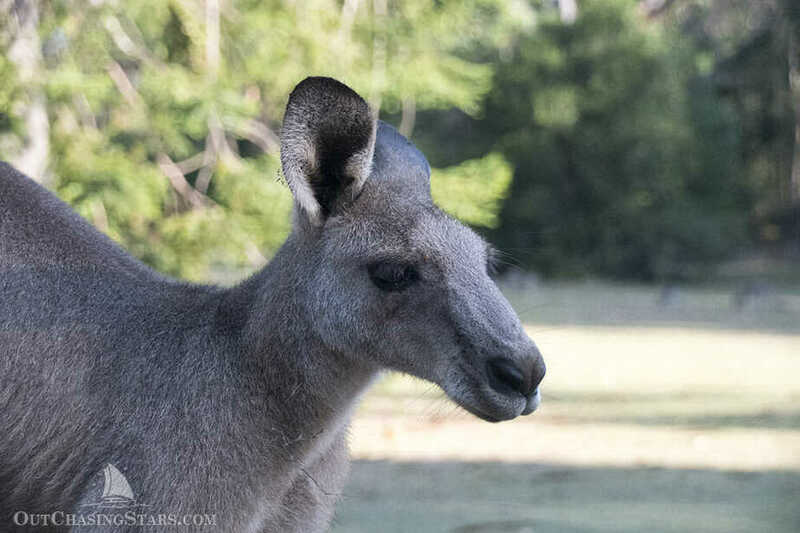 Australian wildlife is amazing, and while cruising we saw probably hundreds of kangaroos (like in Lake Macquarie when we saw at least 50). We also saw dingos (Fraser Island), echidnas (Great Keppel Island), and goannas (Lizard Island). -a Telstra sim card for voice/text/data because they have better service coverage than anyone else, especially in FNQ. We stayed in a lot of marinas in Australia, making it an expensive country to visit. Some of these marina stays were because there were no better options (Coffs Harbor has a rolly bay, Pittwater is full of moorings, Hamilton Island has no anchorage, etc…). Most of our marina says were approximately $60USD ($90 AUD), with the exception of Hamilton Island, which was $90 USD ($125 AUD). If we had docked in Sydney it would have been closer to $200 AUD, but there was nothing available close to town over the holidays. Our favorite was the newly rebuilt Coffs Harbour Marina. There was access to a wonderful waterfront, the farmer’s market, and a great hike. Rosslyn Bay was notable for another great hike, friendly staff, and giving all guests a one-hour car rental to provision. We absolutely loved The Boat Works. We got so much done while we were there which was wonderful, and it is by far the nicest haul out facility we’ve ever been to. The biggest downside of doing work in Australia is that you have to pay 10% GST on the work. When you exit the country, you can only get your GST back if the work was done within the past 60 days. In New Zealand, for comparison, all visiting boats get a tax-exempt document and pay no GST up front for their entire stay. 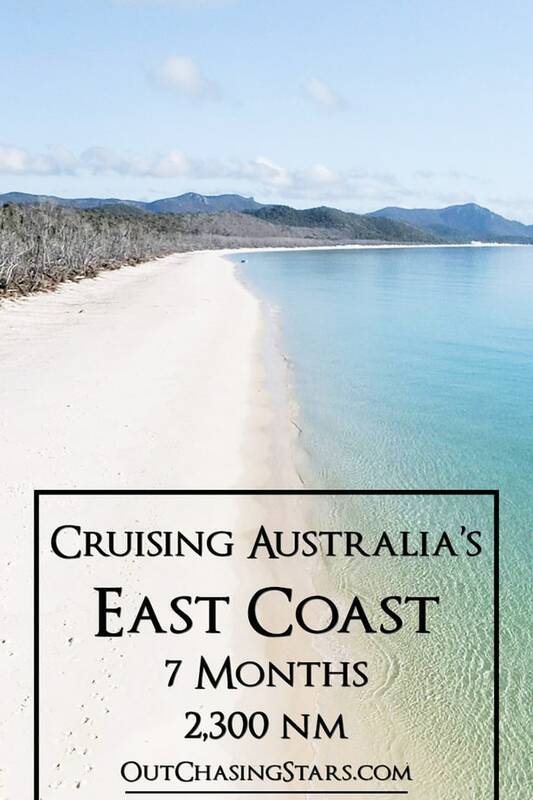 There are three hard copy books that we used while cruising Australia: 100 Magic Miles, Cruising the New South Wales Coast and Cruising the Coral Coast. Maritime Safety Queensland provides free boating maps to the Queensland area, as does New South Wales. There are many additional local resources available, which I have included links to within the specific blog posts. Australia’s postal service, Aus Post, has a service called Parcel Collect available. All you have to do is sign up for a personal account (which is free). Then add an alternative address for any post office you want to receive something for you and it’ll give you a customized customer address. You can use that address to ship items, and once they arrive you have 10 days to collect. Awesome service for cruisers, who often don’t have an address to mail things to. Our favorite beach stop was Whitehaven Beach on Whitsunday Island. We spent four nights there, and we were lucky enough to have calm weather. Read more about our stay on Whitsunday Island. While we got to experience so many of Australia’s big cities, there was something about having our home anchored in Blackwattle Bay in Glebe, Sydney. It was a short walk to some of Sydney’s biggest tourist attractions (like the Fish Market) and had spectacular views while still having an eclectic feel. Read about our favorite anchorages in Sydney. 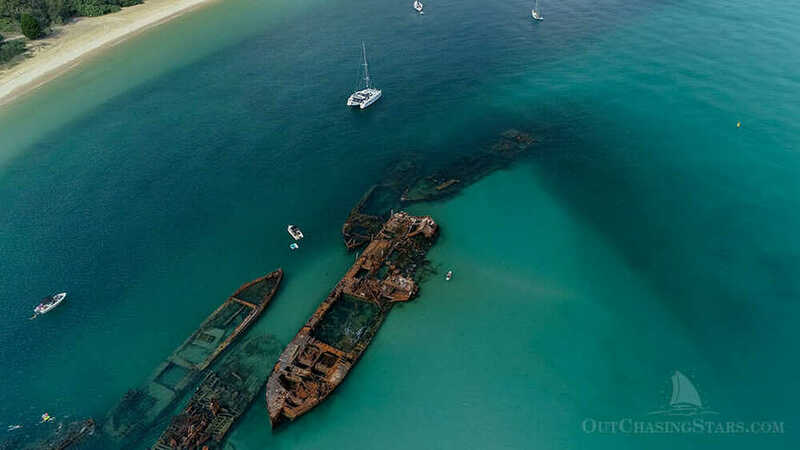 As soon as the water started clearing up, we were thrilled to have a chance to get in the water and snorkel a wreck breakwater at Tangalooma. It helps that our friend Madeline was onboard and we broke out the new paddleboards! The downside was the swell off Tangalooma is pretty gnarly. 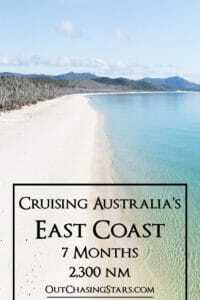 Read about cruising Moreton Bay. These posts don’t include our six weeks traveling around via plane & road trip! Cruising Australia is hard. Between sharks and crocodiles, we didn’t get to swim much. The weather conditions varied so wildly. Finding a safe harbor is challenging. To really see Australia you do have to get out and fly. There’s simply too much to see, and the coastline we sailed (from Syndey to Thursday Island) is a very small part of it. Perhaps we should have rearranged our schedule to head north earlier, risking cyclones to get out to some of Australia’s most beautiful places. Or maybe we should have saved the flying around for a different trip. I can say, though, we feel like we’ve really done a good job of touring Australia, and don’t feel the desire to go back anytime soon. Nice post. I’m sure it’s hard to visit such a large country by water. You knocked out a good chunk! It is hard! I’m glad we got around. Hi Amy – thanks for putting your thoughts on cruising Australia down on paper. As you say, Australia is big, forcing you to compromise when time is limited. I hope you one day get the chance to revisit these shores and have more time to experience the beautiful coral coast. N’joy!